The complete movie on D.L. Moody’s amazing story. Dwight Lyman Moody was born the sixth child of Edwin and Betsy Holton Moody in Northfield, Mass. on February 5, 1837. Dwight’s formal education ended in the fifth grade, and he rapidly tired of life on the farm. He left home at age 17, seeking employment in Boston. Failing to secure a desirable position, he asked his uncle, Samuel Holton, for a job. Reluctantly, Uncle Samuel hired him to work in the retail shoe store he owned. However, to keep young Moody out of mischief, employment was conditional upon his attendance at the Mt. Vernon Congregational Church. At Mt. Vernon Moody became part of the Sunday school class taught by Edward Kimball. On April 21, 1855, Kimball visited the Holton Shoe Store, found Moody in a stockroom, and there spoke to him of the love of Christ. Shortly thereafter, Moody accepted that love and devoted his life to serving God. 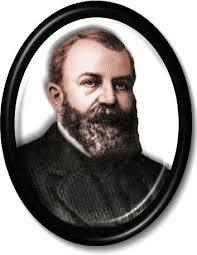 The following year brought Moody to Chicago with dreams of making his fortune in the shoe business. As success in selling shoes came, so did an interest in providing a Sunday school class for Chicago’s children and the local Young Men’s Christian Association (YMCA).